Most newer Android devices manufactured in 2014 or later have a built-in pedometer for tracking your fitness activity. This step counter is a great way to keep yourself in shape and motivated, but developer Leonardo Cavaletti has come up with an even better way to put it to use. His app leverages the pedometer against your smartphone addiction, effectively forcing you to get up off the couch before you can access your favorite apps and time wasters. 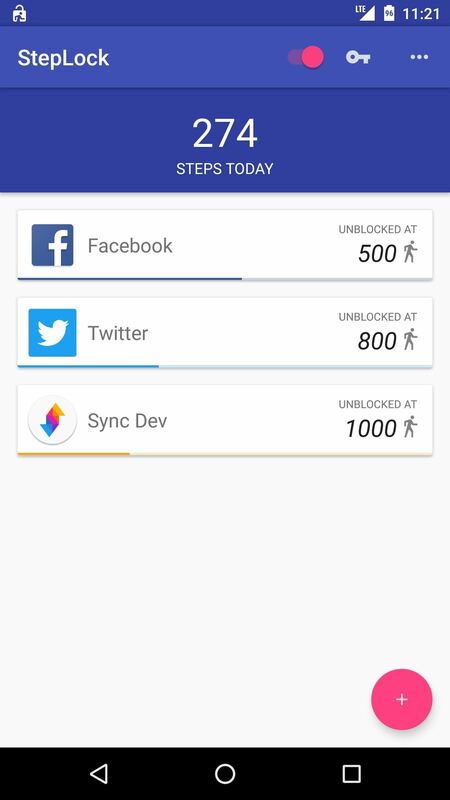 You simply set a step goal for the most addictive apps on your phone, then this app will lock you out of them until you've reached that goal. It's a great way to finally get motivated (right along side Pokémon GO, of course). 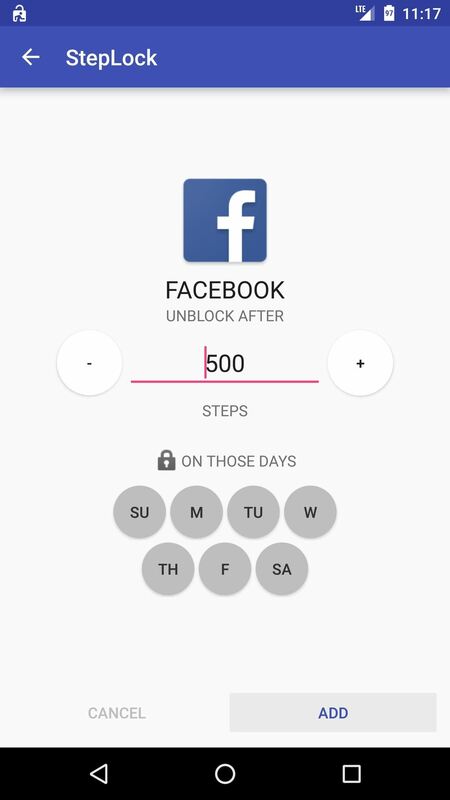 To get started, the first thing you'll need to do is install the app, which is called StepLock - Walk & Unblock Apps. When you first launch StepLock, you'll be greeted by a set-up guide. Go ahead and flip through this, then you'll be taken to the main menu. 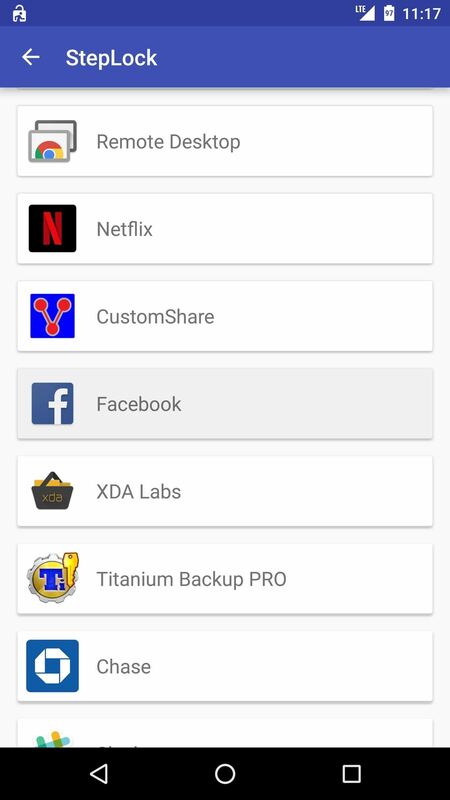 Next, tap the floating action button in the bottom-right corner, then use the following menu to select an app you'd like to lock. 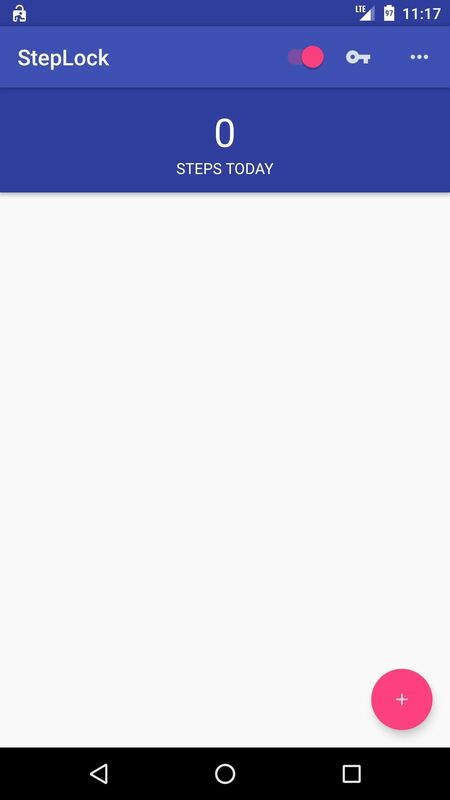 From here, use the + and - buttons to set the number of steps you'd like to require before the app will be unlocked, then press "Add." You can repeat this process for up to 2 apps in the free version, but you can remove this restriction with an in-app purchase of $1.49. 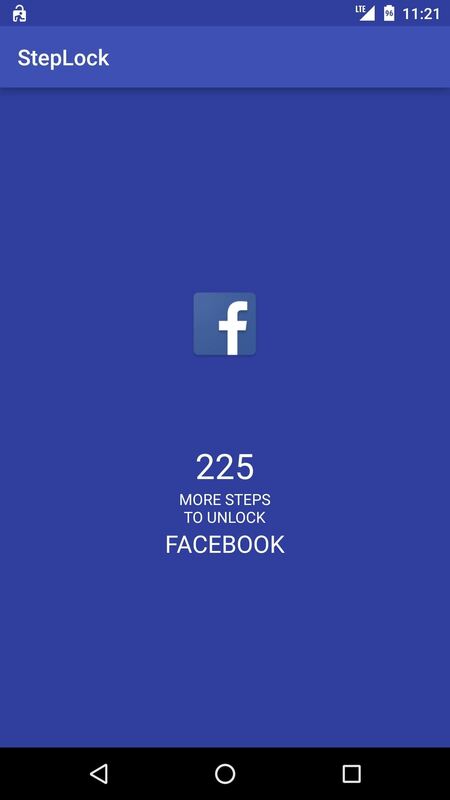 From now on, you won't be able to access these apps until you've reached your daily step goal—instead, when you open a locked app, you'll be greeted by a screen that tells you how many more steps you need before the app can be used. The step counter resets every night at midnight, so you've got plenty of time to reach your goals—but only if you're motivated enough!